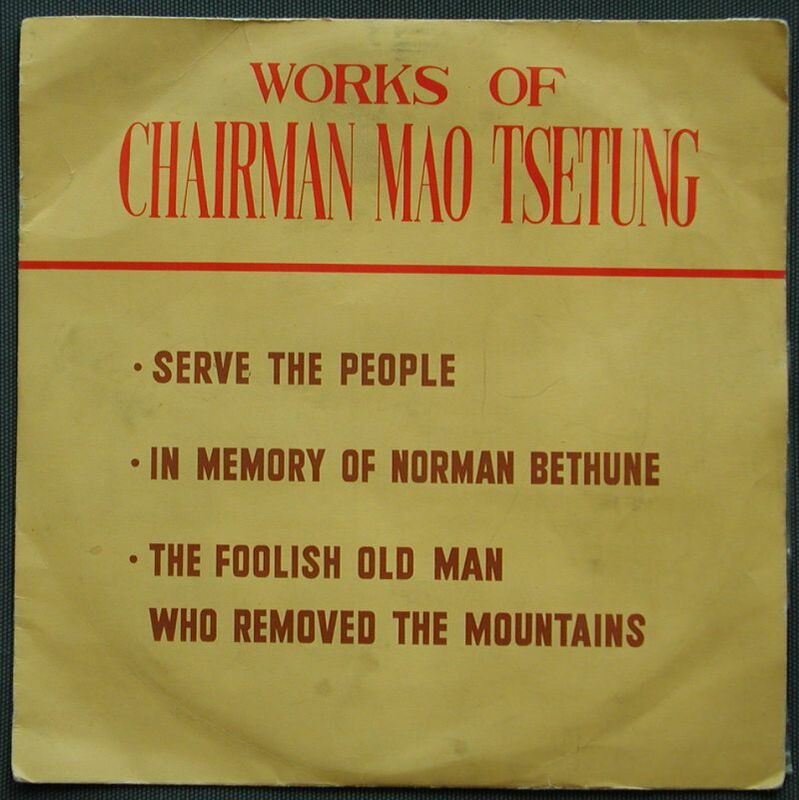 This trilogy of stories became famous during the Cultural Revolution – Serve the People, In Memory of Norman Bethune, and The Foolish Old Man Who Removed the Mountains. This is the first time we have seen it on record and must regarded as rare. This record was produced by the China Record Company and the record states that it was published in 1967. The record and the jacket match numbers – WM-014. The record jacket measures 26cm square. We also have this trilogy in print – both in Chinese and English, please click HERE.